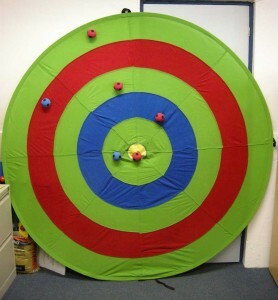 A giant, circular velcro target. Throw balls and get them to stick to win points! A wall or floor space at least 2 metres across to put it on, and enough space to stand and throw balls.